You’ve taken your time studying up on patio sets, reading reviews, deciding on how you want it to look—and you’ve finally made the investment. As with anything, cheap patio furniture isn’t much good, and good patio furniture isn’t cheap, so chances are your new outdoor furniture purchase set you back a pretty penny. The practical question is how you keep it looking and feeling as close to brand-new as possible. Here are a few things you can do to ensure the longevity of your outdoor furniture. Protect It From the Elements. Because it’s called outdoor furniture, it’s easy to think that it’s meant to remain outdoors at all times. Not so, unfortunately—your furniture takes a real beating during inclement weather. The sun can cause the cushions and fabrics to fade. The best thing to do is to store your patio furniture inside when stormy weather comes. If you don’t have the space, waterproof and UV-resistant covers can be purchased (sometimes from the manufacturer of the furniture itself).As far as those cushions, it’s best to keep them inside when they’re not in use. Clean Your Furniture Regularly. Every couple of weeks, take some time—it really only has to be a few minutes—for a quick cleanup of your patio furniture. Soap and warm water usually work just fine (with the exception of wooden garden furniture, which you’ll want to clean with water only).Do you want to expedite the process (and maybe even make it a little more fun)? Use a pressure washer on low, with a 25- or 40-degree nozzle, and wash from top to bottom. Any remaining stains should be washed by hand afterward with soap and warm water, using a scrub brush or a sponge. Don’t Forget the Fabric! When you’ve got those cushions inside, it’s time to wash. You might choose to do this one of two ways—either by hand if you live in abundance of caution, or inside your own washer. If you prefer the former method, use warm water and a mild soap, scrub gently, and air dry. Machine wash in cold water with a bleach-free detergent.While most outdoor furniture fabrics are treated to be somewhat resistant to the elements, their resistance loses power over time. Fabric protectors help repel water and dirt. Just make sure that the spray you choose is suitable for the material. Maintenance Goes a Long Way. Wood, wicker, metal—no matter the furniture type, maintenance is key to keeping it healthy over the long term. This means giving it a little love even after you’ve cleaned it.Wicker can be difficult to care for because the material invites mildew buildup. A liquid spray wax can prevent this from occurring. Wood can benefit from varnish or paint. 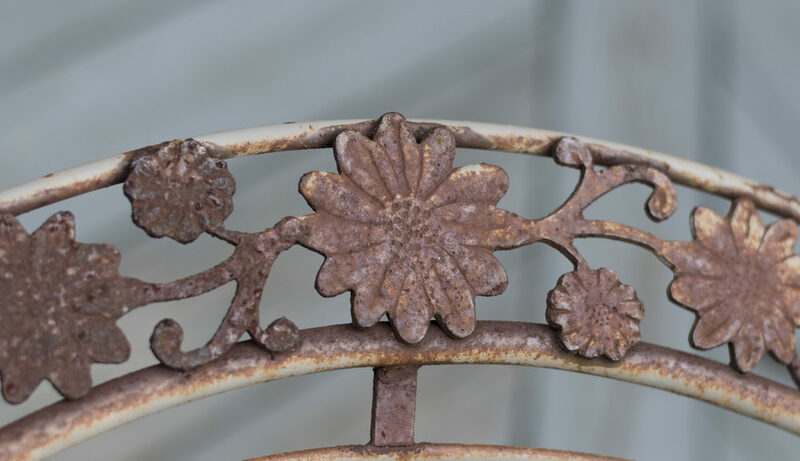 And for metal furniture, a rust-preventing solution like Cosmoline may be the way to go. Take Advantage of Your Warranty. Finally, one of the best ways to extend the life of your outdoor furniture is to take full advantage of the warranty whenever possible. Outdoor furniture is frequently covered by a limited manufacturer’s warranty. Coverage varies—some manufacturers cover everything up to faded finish, others supply replacement parts, and others still will replace a whole set at no cost to you.Saving your receipt and insisting that your warranty be honored will save you a bundle, and a trip to the dump. If you’ve not yet purchased lawn furniture, consider this. As with any purchase, particularly bigger-ticket buys, the cost of maintenance should be factored into your decision. Some lawn furniture might require more time and money to maintain. If you don’t have the time to do so, perhaps it’s best to opt for a low-maintenance outdoor living set.